Sinusitis is generally first treated with antibiotics, decongestants and/or anti-inflammatory drugs. If medication is not effective, or if there is a blockage, surgery is generally recommended. Your ENT specialist will prescribe medications (antibiotics, decongestants, nasal steroid sprays, antihistamines) and procedures (flushing) for treating acute sinusitis. The most common corrective surgery approach for treatment of acute or chronic sinus inflammation is endocscopic sinus surgery or navigated sinus surgery, or a combination of both. Both techniques are much less invasive than older conventional surgical methods. 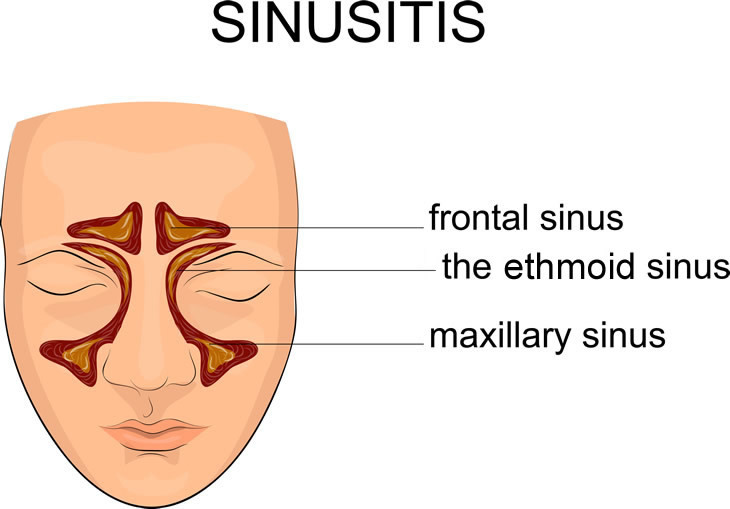 Nevertheless, the extent of sinus disease varies from person to person. Surgery may therefore be a relatively minimal procedure or an extensive and prolonged operation.